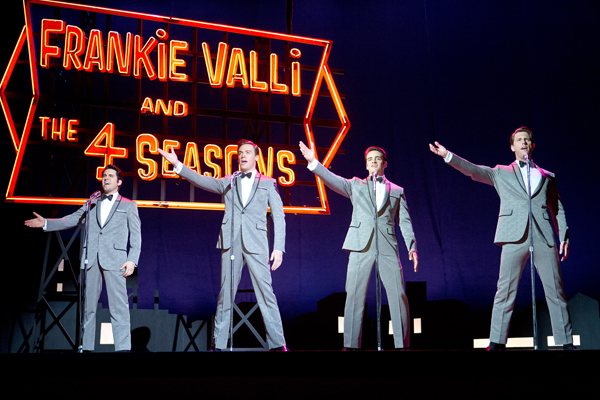 Creating a blast from the past, Clint Eastwood delivers Jersey Boys the rocking musical that took Broadway by storm. Creating more of a drama than a song fest, the movie takes the audience from the Four Seasons chaotic beginning to stardom. Using the lead actor from the original Broadway cast the movie emulates more than what most everyone has been eagerly awaiting. 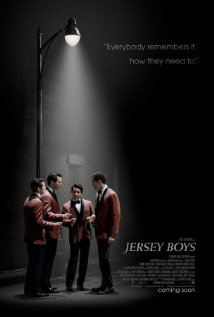 It wasn’t easy being Frankie Valli (his real name was Francesco Stephen Castelluccio) (played by John Lloyd Young) a young man who grew up in a New Jersey hood. His main objective was to get out and according to best his friend Tommy DiVito (Vincent Piazza) there is only three ways: “you join the Army and maybe get killed; you get mobbed up, maybe get killed that way… or you get famous. 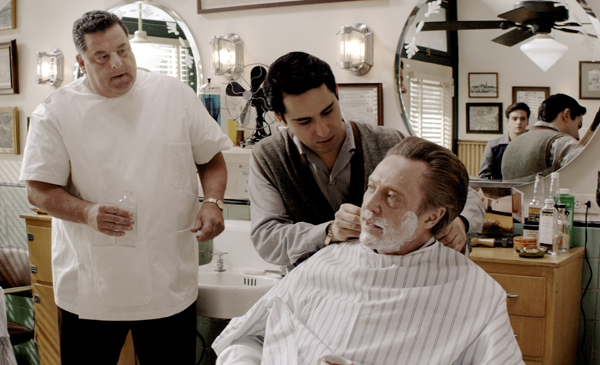 For us, it was two out of three.” The connection to the mob was easy as his neighborhood was run by crime boss Gyp DeCarlo (Christopher Walken) who felt he was a father figure to young up and coming wise guys. It was really Tommy who started the direction Frankie was headed. Playing guitar with a trio that worked local dives, Tommy was on the rise. As things progressed he gave Frankie a chance to show his singing ability and he was an immediate hit. After joining the group it transitioned with original Nick Massi (Michael Lomenda) on bass and later adding writer Bob Gaudio (Erich Bergen) on piano. The fledgling group started to kick it up a notch going on the road for gigs, but still not earning any real money. Pushing for a company to record them, the group found Bob Crewe (Mike Doyle) who took them under his wing. With their first hit “Sherry” everything started happening quickly with even Frankie getting married to street smart Mary Delgado (Renée Marino). Things were good. Director Clint Eastwood takes the players from early street corner to fame and fortune including all the pitfalls on their journey. He follows the script that includes all of the Broadway Show and then some. Eastwood’s the kind of task master that could pull off a two genre hit and he does. Look for Oscar nominations for this gem and its director. Keeping the film compelling Eastwood makes the first hour a drama that gets into the nitty-gritty of their lives and interlacing some tough times. Eastwood doesn’t waver much from the original story, but his ability to bring good characters using new actors to the screen is evident during this first half. He kicks it up musically during the second half showing the Four Seasons performing one golden hit after another. Rising to the top of the charts, the group even gets a shot on American Bandstand and Ed Sullivan. It’s during this period that we see the past catching up with the band, family problems and deep seeded complications starting to develop. The movie conjures up memories with songs like “Big Girls Don’t Cry,” “Walk Like a Man,” “Dawn,” “Rag Doll,” “Bye Bye Baby,” “Can’t Take My Eyes Off You,” “Oh, What a Night,” “Who Loves You Pretty Baby,” “My Eyes Adored You,” “Workin’ My Way Back to You,” “Lets Hang On,” “Don’t You Worry ‘Bout Me,” “Beggin,” “Candy Girl” and many more. The hits are well placed within the storyline so that it doesn’t come off as a concert. I even caught myself singing along in my brain. The actors who play the Four Seasons do all their own singing and are coached very well. 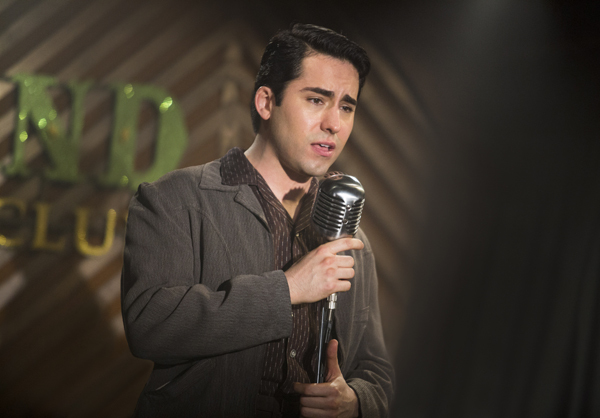 John Lloyd Young played the lead in the original Broadway cast of “Jersey Boys” and earned a Tony award. Both Erich Bergen as Gaudio and Michael Lomenda as Massey toured with the traveling “Jersey Boys” show and got their chances at the film when chosen by Eastwood. All songs in the movie were filmed live before the camera. Acting by John Lloyd Young as the upstart Valli is brilliant and may be a catapult to future films. He not only excels with his vocals, but his dramatic acting proves as good. He has the look and personality that could make him a regular on both Broadway and the silver screen much like the success of Hugh Jackman. 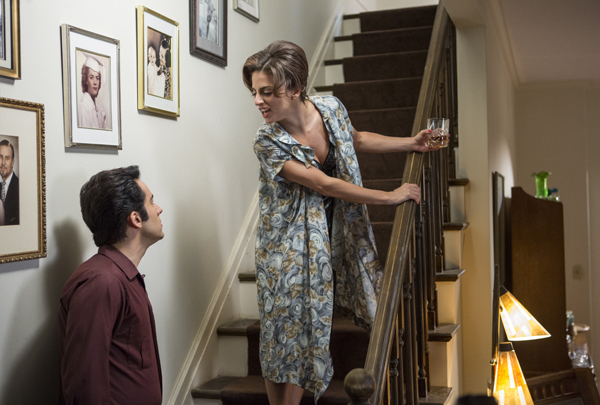 Jersey Boys has been rated R for language throughout. In addition to the reason of profanity, also be cautious when deciding to allow immature young children see the film as it does have some adult scenes that are inappropriate for adolescents. Cast: John Lloyd Young, Vincent Piazza, Michael Lomenda, Erich Bergen, Christopher Walken, Renee Marino, Mike Doyle, Barry Livingston, Freya Tingley, Erica Piccininni, Donnie Kehr, Joseph Russo. « Tickets Now On-Sale for the First 4DX Movie Theater Experience in the United States!